I’m sure you’re already aware of how important promoting your music actually is. Getting your music heard is just as important as making the music. It doesn’t matter if you have the best song in the world – if no one listens to it, it’s almost like it doesn’t exist. So, in an attempt to send you in the right direction for promoting your music – I’ve put together a list of 30 effective ways to promote your music. It’s in no specific order and is a collection of thoughts from my consultations, conversations with friends, and experience. 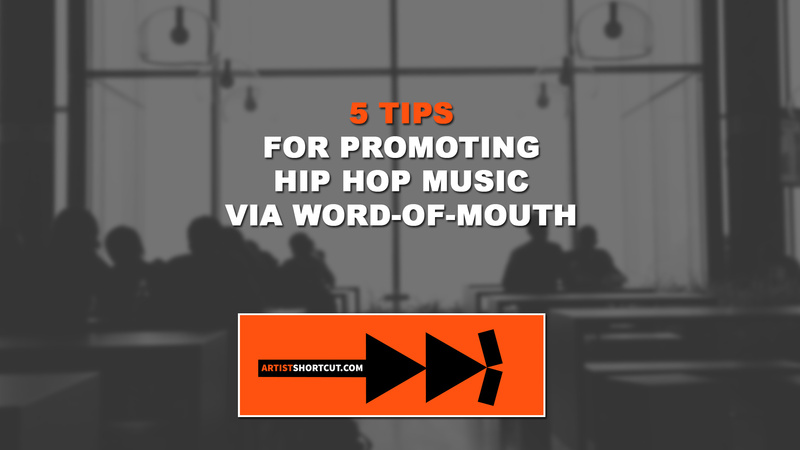 Promoting your music by word of mouth is the foundation of music promotion. It’s also one of the easiest and cheapest. This is a good method if you know where your target audience is at and know what they respond to. Learn about marketing your music via word-of-mouth here. Facebook is the giant of the social media world. Your potential fans are on Facebook. You should have a Facebook fan page dedicated to your brand. YouTube is the main video platform for most of America. If you’re not consistently growing your YouTube channel and promoting your videos on it, you’re missing out on a lot of potential fans. Although Instagram is a photo-based platform, you can still promote your music on their in the form of photo advertisements, videos, and in your profile bio and description. Soundcloud makes it easy for viewers to stream your music and interact with you. This is the perfect place to upload your songs for sharing & for interacting with other artist and producers. Vine is a popular short video sharing platform. It’s not a platform that I feel is essential for hip hop artist to make, but can be helpful. Creating marketable Vines can really make your music go viral. Tumblr is a blog-like platform. It’s a great platform for sharing visual content, specifically things around fashion, romance, or events. I would recommend artist use it as an extension of the blog on their website. Snapchat is a great way to connect with the fans that you already have. If you don’t currently have any fans. I’d say focus your attention elsewhere for now. You can get better results from a different platform. I tell hip hop artist all the time that this needs to be your main platform. Your website will allow you to track your success, stay up to date with your fans, and convert potential fans. You’ll also have access to other marketing techniques such as content marketing and SEO. If you don’t have a website, create one as soon as possible. Building your email list is one of your top priorities. Having an email list will help you connect with your fans better, as well as promote your music directly to the people who want to hear it. In my opinion, this is one of hip hop’s business “secrets” that most artists have no clue about. Promoting your music through internet radio stations are very effective if you can find which celebrity music artist your music is most similar to. After identifying that, you can promote your music on their stations and if your music is truly similar, you can gain some of their fans. Some of these internet radio station platforms are very cheap. Getting your music posted on blogs will put you in front of a different audience and adds credibility to your brand. For example, you can say, “Featured on ____” and you will look more credible if the blog is credible. You should connect with blog content writers / authors and build a relationship with them. This technique works for as long as you’re an artist. Funkworm over at IndieHipHop.net has a good e-book that list tons of blogs for $3.99. I honestly don’t know why he’s selling it for so cheap, but you should buy it before he realizes he should be charging a lot more. View the Hip Hop Blog Directory here. If you have a website, Search Engine Optimization (aka SEO) will help get your name out there if you’re consistently updating your website and blog. The more consistent and high quality your blog post, the more Google will put your website in front of viewers searching for similar stuff. (Ex. Viewer searches for new music in your state and your website might be the first few to pop up). Visit MOZ to learn about SEO. Similar to SEO, content marketing will help get you some website traffic and improve the credibility of your brand. Visit Copyblogger to learn about Content Marketing. Hip hop forums are a cool place to build relationships with those similar to you. I don’t recommend directly promoting your music on the forum, but there are times when it’s acceptable. You’re better off becoming an influential member on the forum and then using that credibility boost to help get your music heard indirectly. Bundling your music with other products to add value is a great way to promote your music. Give away a free t-shirt, Chipotle gift card, anything that would expose you to potential fans that you would not have gotten otherwise. But remember, keep it affordable. You don’t want to kill your pockets with this strategy. Support artist that make similar music as you by sharing their music with your fans. In this age of music, there are more than enough fans to go around. Depending on your target audience, college is full of kids looking for new music to party to. If you have any party / club songs, try to network with those that throw the parties and get your song played in their parties. If you have some extra money that you don’t mind helping out others with, sponsor an event that has a similar target audience as you. This won’t get you a ton of people checking out your music, but it will build credibility and help with networking as well. Getting a sponsor can help you with reaching an audience that you didn’t have access to. For an upcoming hip hop artist, you could get a clothing line to sponsor you and cross promote each others products. This isn’t the easiest because, most upcoming hip hop artist are not offering enough value to the sponsor, but I’ve seen it done. Pandora is popular online radio station platform. They’re very similar to every other internet radio station, but they have a lot more listeners. Spinrilla is an upcoming mixtape platform that’s very similar to Livemixtapes. Both platforms have their strengths and weaknesses. I don’t see any harm in using them both. Spotify is a platform that’s similar to Pandora. Flyers, unless super targeted, are not the best use of funds to promote your music, but are good business cards. I’d recommend that you brand the flyers similar to how you would brand a business card and give them away at shows or events. Stumbleupon is a simple content sharing platform. People thumbs up or thumbs down pages. 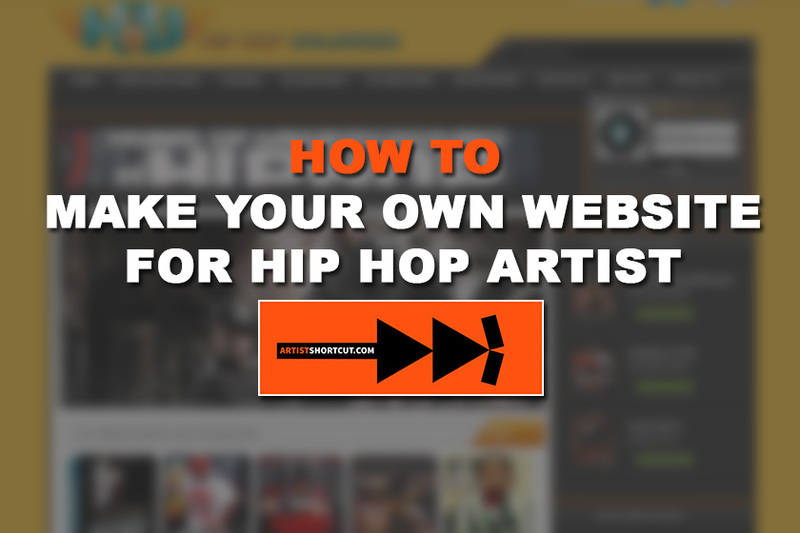 Use your website to create landing pages for each song and then post them on StumbleUpon. I hope you found this list helpful and it motivates you to try some techniques that you may not have thought of before. Here’s My Question For You! What’s your favorite methods, techniques, or platforms that you use to promote your music and why? my friend thinks that dropping constant music videos helps as well, do you think it’s true also?? Nice promotion ideas to get the mind flowing. I prefer building up a list of radio shows, blogs, podcasts and what not to slowly build a grassroots marketing campaign over time. Great Article! Also here are 2 more options artists can try out!